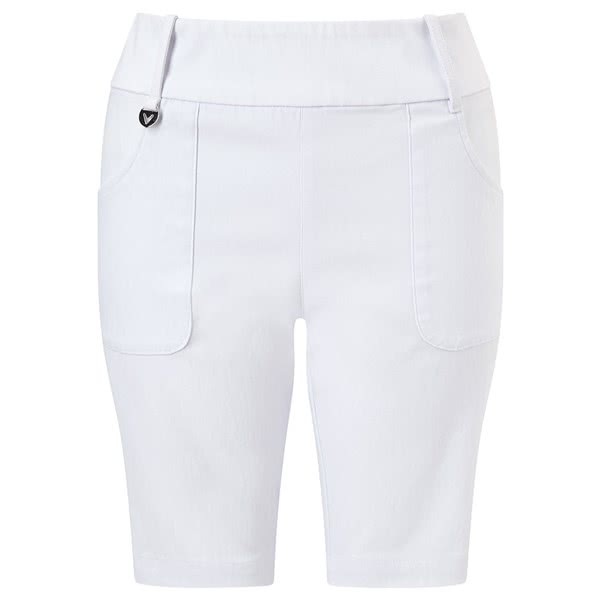 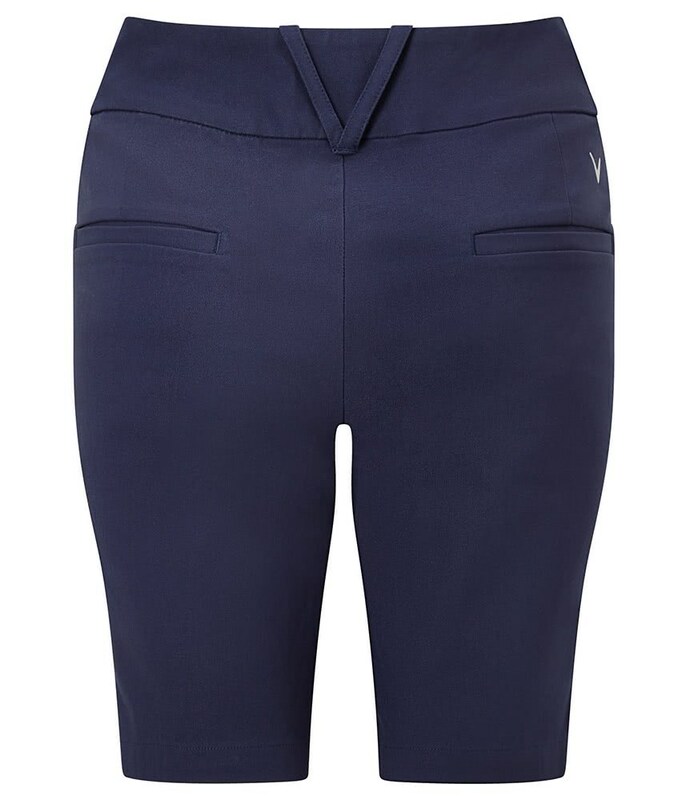 The Callaway Ladies Chev II Pull on Shorts are all about providing a stylish fit and delivering the ultimate comfort and performance on the course. 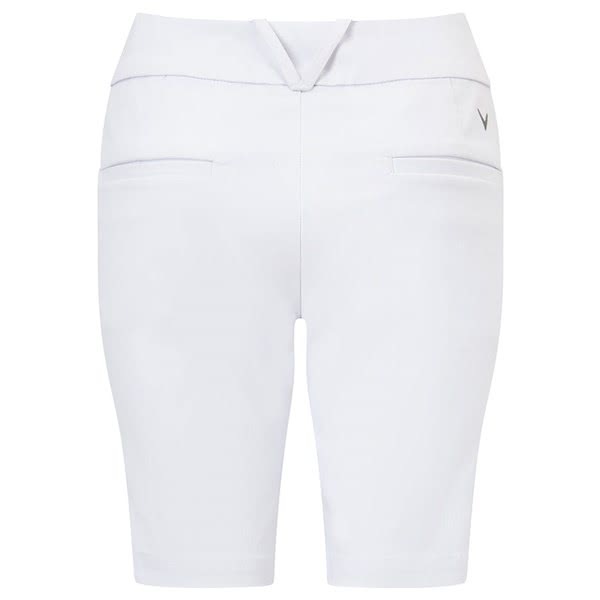 Callaway have designed the Chev II Pull on Shorts with a deep elasticated waistband for a fashionable, flattering fit. 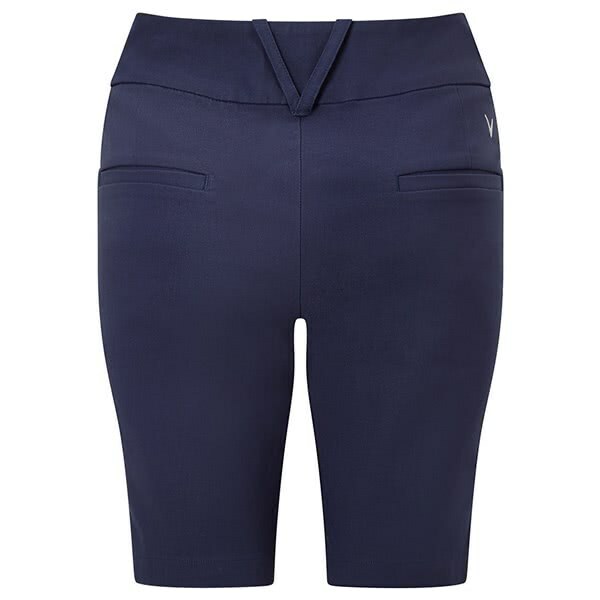 The fabric that Callaway have used features a technical stretch that will enhance your every move . Two front pockets and discreet back pockets provide excellent storage for all your smaller on and off course accessories. 19”/47cm pull on short with deep elasticated waist for a flattering fit. 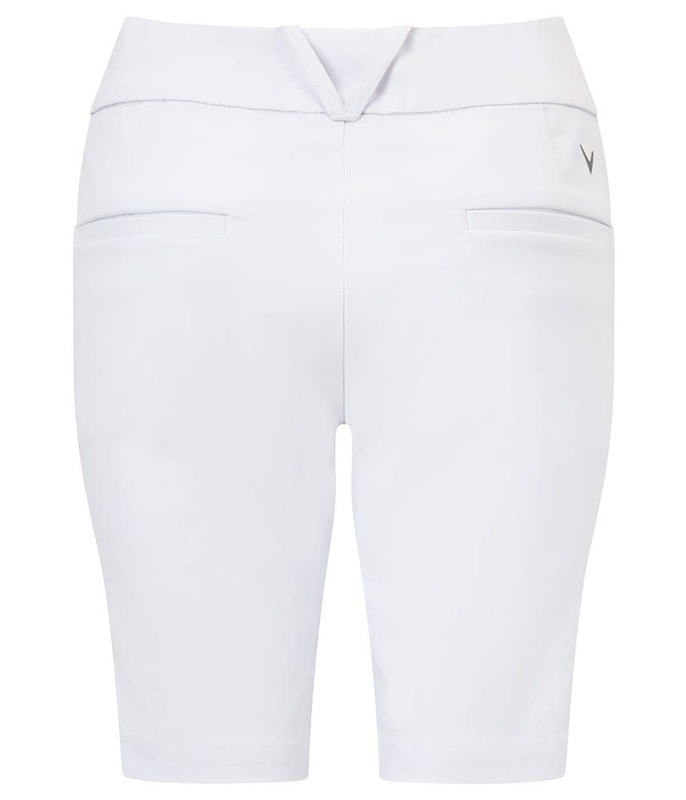 front pockets and discreet back pockets for score card and glove. 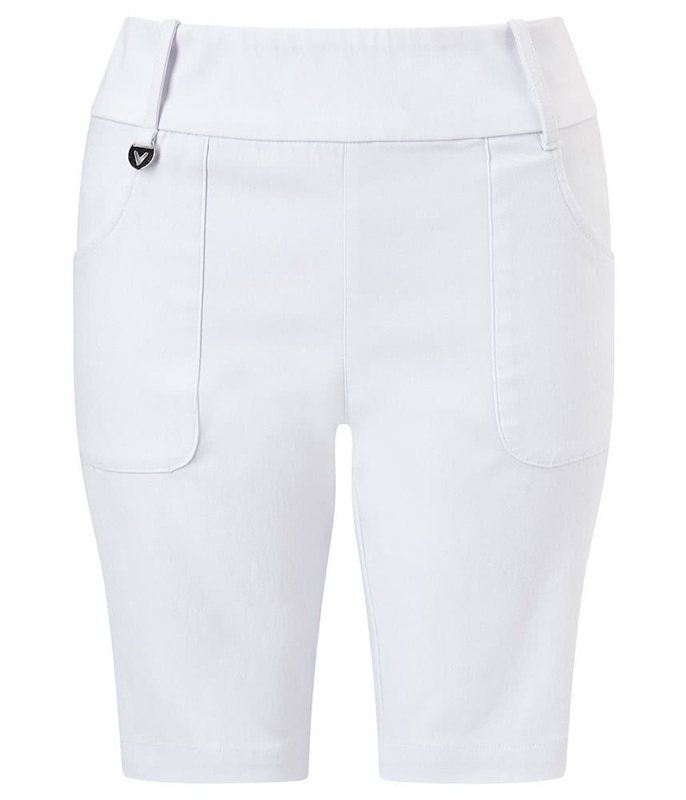 Callaway Chev embroidered above the wearer’s right back pocket.